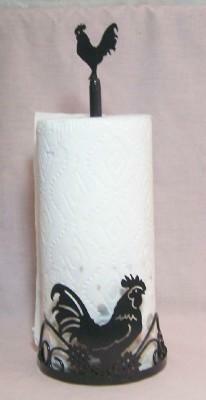 A nice silhouette of a rooster with this metal towel holder. It also has a rooster on the top. A fun decoration for your kitchen, or someone you know!